You could get metal vents or you could get vents to match your new bamboo flooring! 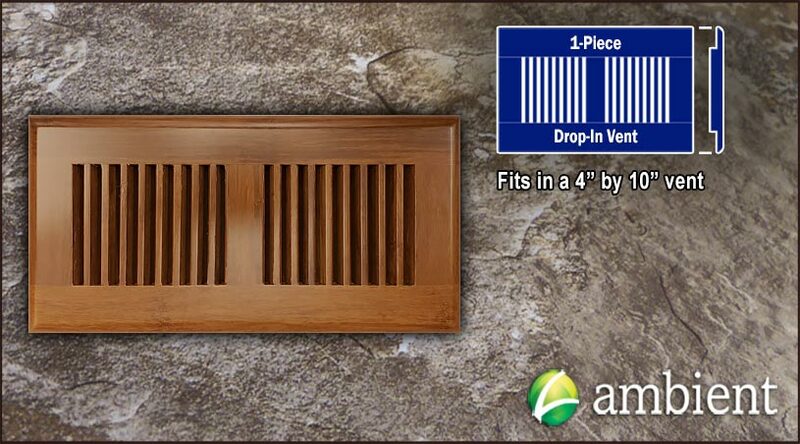 We have two styles of vents: flush mount and drop in. 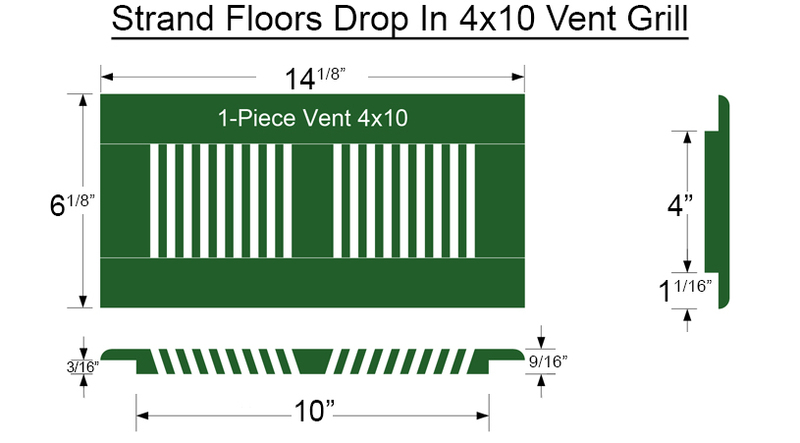 This vent is a drop in vent and is to be installed after the flooring has been installed. You or your installer just needs to cut out the flooring where the air duct is so a vent can be later dropped in. The great thing about drop in vents is that the cuts do not have to be perfect as the vent will cover up any rough edges! We make sure our vents are made out of the best material and are prefinished just like our floors.